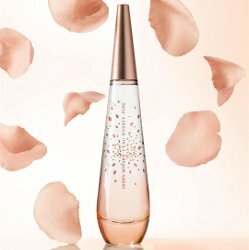 Issey Miyake has launched L'Eau d'Issey Pure Pétale de Nectar, a new fragrance for women. L'Eau d'Issey Pure Pétale de Nectar is a flanker to 2018's L’Eau d’Issey Pure Nectar de Parfum, which was a flanker to 2016's L’Eau d’Issey Pure, which was a flanker to 1993′s L’Eau d’Issey. Notes for the sweet aquatic floral include honey pear, rose and sandalwood. Issey Miyake L'Eau d'Issey Pure Pétale de Nectar is available at John Lewis in the UK, in 30 and 50 ml Eau de Toilette.